Update 6/13/13: After a few antifascist attacks against Chris Rothe, including a flier drop at his place of business and his neighborhood, he has resigned from the National Socialist Movement, giving up his chosen role as state leader. A major factor that led him to make this decision was not only the attacks but the lack of support from the NSM after the attacks occurred. Though this does not necessarily mean Chris isn’t a nazi, he is no longer affiliated with that particular organization. Chris Rothe is the Illinois State leader of the National Socialist Movement (NSM), the largest neo nazi organization in the United States, The NSM may be a joke in some regards but they have more than one murder on their hands. 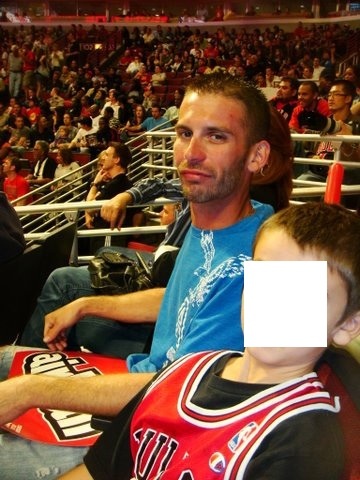 Chris lives in Naperville, is a foreman at a construction company (United brotherhood of carpenters and joiners local 1889 – 28600 Bella Vista PKWY Warrenville, IL 60555, (630) 821-7932), and used to be a member of the notorious neo-nazi group known as the National Alliance (NA). Chris claims that he once got a guy laid off based on the fact that he was black and says that he hopes to one day start his own company in which he will only hire white people. Although Chris may not be attending or hosting many events that we know of, he does believe in a violent race war in which “blood has to be spilled”. For all of these reasons, we believe Chris Rothe is someone worth paying attention to.